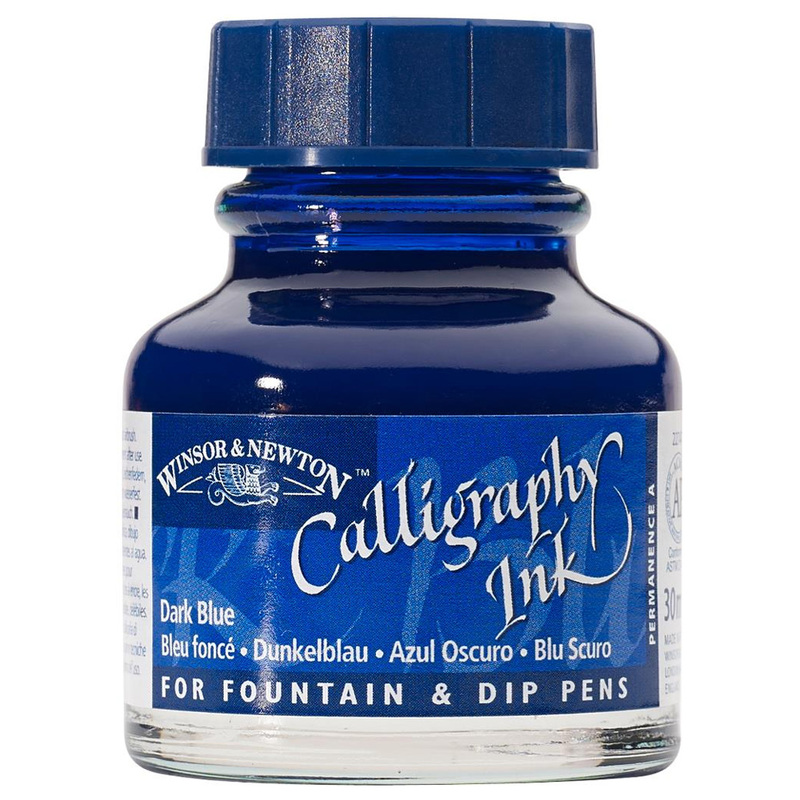 Winsor & Newton Calligraphy Inks offer the widest colour range available for use with a Dip pen or Fountain pen. The range consists of 18 colours, 14 vibrant colours covering the colour spectrum and 4 extra colours - Matt Black, White, Gold and Silver. All colours are available in 30ml bottles. All the inks have been formulated with carefully chosen pigments to ensure maximum brilliance of colour. Single pigments have been used wherever possible to make clean colour mixtures. The formulations of the Inks are non waterproof ensuring they are non clogging and have good flow characteristics when used in a Fountain or Dip pen.